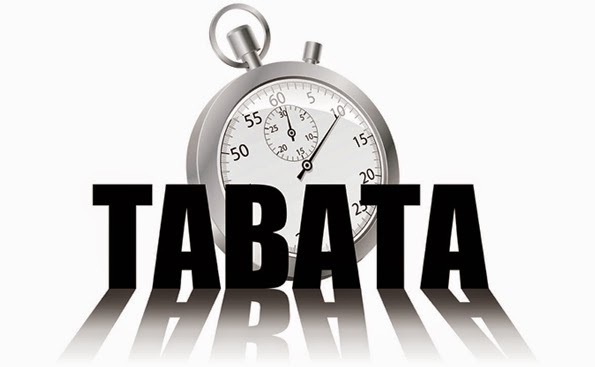 Tabata training is a form of high-intensity interval training consisting of 8 rounds of max effort exercises that are typically divided into a "20-seconds on, 10 seconds off" rotation. It is a great way to get a full-body workout in without having to sit around a gym for an hour and a half. You're heart rate will be up, your ventilation will increase and the calories will be burning. There are different ways to structure a Tabata workout. You can select one exercise and do 8 rounds of the 20s on / 10s off rotation or you could select 4 different exercises and go through them twice. So if you're in a crunch for time and looking for a great way to get a quick, full-body workout in, try one of these tabata circuits!